Cassandra Bankson is a model and YouTube personality who also happens to have two vaginas. That's right, Bankson found out this astonishing fact after she went to the doctor because she was having some back pain. 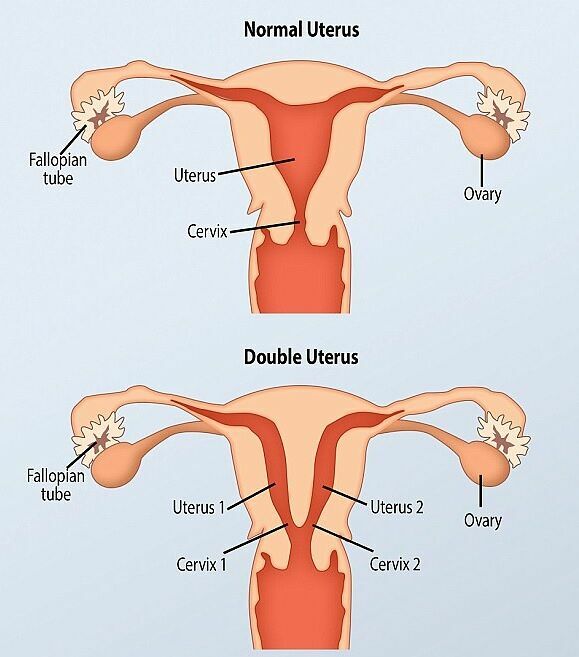 After doing some scans and ultrasounds the doctors found that Bankson had only one kidney, but also had a rare condition known as as uterus didelphys or double uterus, which means she has two vaginas, two wombs, and two cervixes. And as you can imagine, the news came as a big shock for Cassandra. She explains how she was told in the video above, "When she (the doctor) got the papers back she was looked at me and she said 'ah-ha'. I was like 'what, do I have one kidney, do I have two? She was like 'yes, and you have two vaginas, as I suspected." Explaining how it worked the doctor said that while there was only one vaginal opening there was two vaginas inside. She also told Cassandra that she also has two wombs and two cervixes. "It's probably like a nose, if you could imagine it upside down." Bankson explained to Barcroft Media. "Everything looks the same so I never really noticed a difference but on the inside most vaginas have this opening and then everything is one large cavity... For me there's almost this split right down the middle, just like a septum in a nose." The condition doesn't mean she can't have have children but it does mean she gets painful cramps and there may be other complications. New York gynecologist Dr Dena Harris told Barcroft how this condition can occur, "Women develop two vaginas when the embryo is developing—it separates into different parts and fuses—if they don't fuse all the way you can get two uteruses and two vaginas. It’s very rare but Cassandra can live a normal life and if there are any problems we could work to fix them."